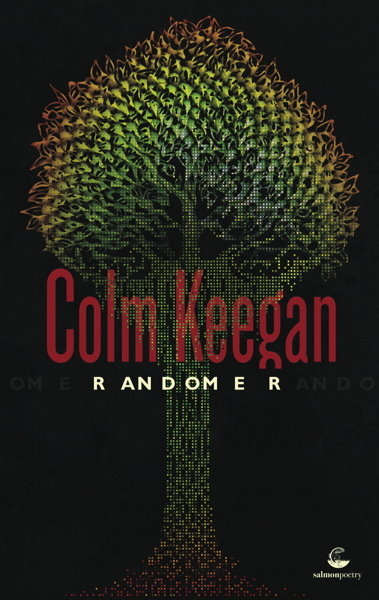 Randomer, is a poetic tour de force. The reality of life stripped back to its bare fundamentals. Despite charting a life lived through austerity and the predations of political elites and bankers, Colm Keegan’s optimism – for his children, his family, and his community – never flags. Even on the most difficult terrain he is a sure-footed and trustworthy guide. While still honouring his roots in the Dublin vernacular, Keegan increases his range, more sophisticated and diverse in style, more mature in tone. In the rubble and the detritus, in the waste and the ruin, Keegan finds nuggets of subtle and pervasive truth, all of it from lived experience. A doll’s house, a simple meal, a trip to the library, all are imbued by Keegan’s signature ability to see the world anew, and, tellingly, to take it on its own terms. Colm Keegan is a writer and poet from Dublin, Ireland. 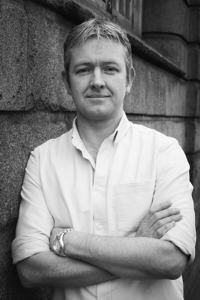 Since 2005, he has been shortlisted four times for the Hennessy New Irish Writing Award, for both poetry and fiction and won the All Ireland Poetry Slam in 2010. His first book Don't Go There (also with Salmon) was released to critical acclaim in 2012. In 2014 he was awarded a residency in the LexIcon, Ireland’s largest public library. He has developed numerous creative writing projects for schools and colleges across the country. He is a creative writing teacher and co-founder of the Inklinks Project, a creative writing initiative for young writers. In 2011, he was nominated for the Dublin Fringe’s ‘Little Gem’ Award for the spoken-word play Three Men Talking About Things They Kinda Know About – which has toured Ireland and sold out in Bristol, London and Paris. His play For Saoirse was staged in the Axis Theatre in 2016. In January 2017 his short play, The Process, was staged in the Abbey Theatre as part of 24 Hour Plays. He also writes for television. He was a co-founder and board member of Lingo, Ireland’s first Spoken Word festival. snapping out from his mouth. like slow motion orbs of water. sent to an invisible boy. going off in her endocrine system. The steam of it on the walls. The drone of the extractor fan. of cutlery thrown across the table. The daughter helps and can’t help smiling. This is the soft machine of our life. Last night the house was warm without the heating on. accelerating, feeling the wind in his hair. while his tyres run over the grass. new bulbs push hard against the clay. I saw you coming that night. It was a long time coming this fight. but my hands had the momentum of pain. with the speed of a hummingbird’s wings. Now I no longer hear crying in the wind. I no longer dread the screams of my mother. I no longer feel trapped in my bedroom. I made bastards of my sister and brother. Think of every material thing, as a tiny hook. A way to keep your grip on life. to be unwrapped in the morning. of nomads sitting beside animal skins or scalps. Think of that celebration, the counting of those spoils. Your reward at the end of a long year. The things you did to make it through the winter. so huge, it loomed over all of the other presents. at your front door to gasp in awe. Think of her little cousin’s pupils dilated with envy. one of the last things you do before it all falls apart. while you walk the streets, or sleep in your car. like tokens in a shrine. framed photographs of holidays and birthday parties. holding its own under all that weight. Think of that pressure everyday.